LYREC has one billing cycle. All payments are due on the 20th of each month. Does LYREC offer Budget Billing? LYREC does offer budget billing to residential members who are current on their payments, have an "A" credit rating, and have established a 12-month history of service with LYREC. The member may sign up for budget billing between April 1 and August 30. The member can remain on budget billing as long as their account remains current. If you are interested in signing up for budget billing, you can pick up a form from our office or download the form below. LYREC is pleased to offer a number of free ways to pay your electric bill. We accept cash, check, and credit/debit card (Visa, Mastercard, Discover, and American Express). 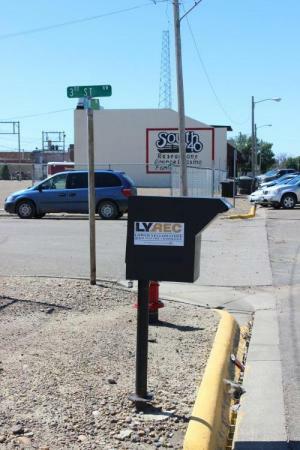 In person payments are accepted at LYREC's office or you can mail your payment to LYREC, PO Box 1047, Sidney, MT 59270. Our automated pay-by-phone system is available 24 hours a day, 7 days a week at 1-844-209-7159. You must have your account number or be calling from the phone number that LYREC has on record for you. (Payments can not be accepted over the phone by office staff). Payments can be made using the SmartHub App or going to www.lyrec.com and paying online. LYREC has drop boxes for after-hour payments. One is located by the LYREC sign at the office and the other is located across the street from Reese and Ray's IGA. Lower Yellowstone Rural Electric Cooperative is a not-for-profit Cooperative that belongs to its member/owners who make an investment in the Cooperative each time they pay an electric bill. If revenues exceed expenses, the Cooperative has earned margins. These margins are allocated back to the members in the form of capital credits. Capital credits are retained by Lower Yellowstone Rural Electric Cooperative for a period of time to finance the electrical infrastructure needed to serve members. This keeps rates lower by offsetting the need for the Cooperative to borrow funds. One of the benefits of being a member is that, as financial conditions allow, LYREC Board of Trustees retire those capital credits in the form of a check or bill credit to the current and prior members. Because capital credits may not be retired for several years, it is important that you keep the Cooperative informed of you current address. Why is my bill rounded up? Cooperative members can choose to participate in our Operation Round Up (ORU) Program by allowing their monthly bill to be rounded up to the nearest dollar. These funds are administered by an independent board of directors who award grants to non-profit and community organizations in the general service area of Lower Yellowstone Rural Electric Cooperative solely for charitable, educational, scientific, health or safety purposes. The ORU board awarded the first grant in March of 2018.